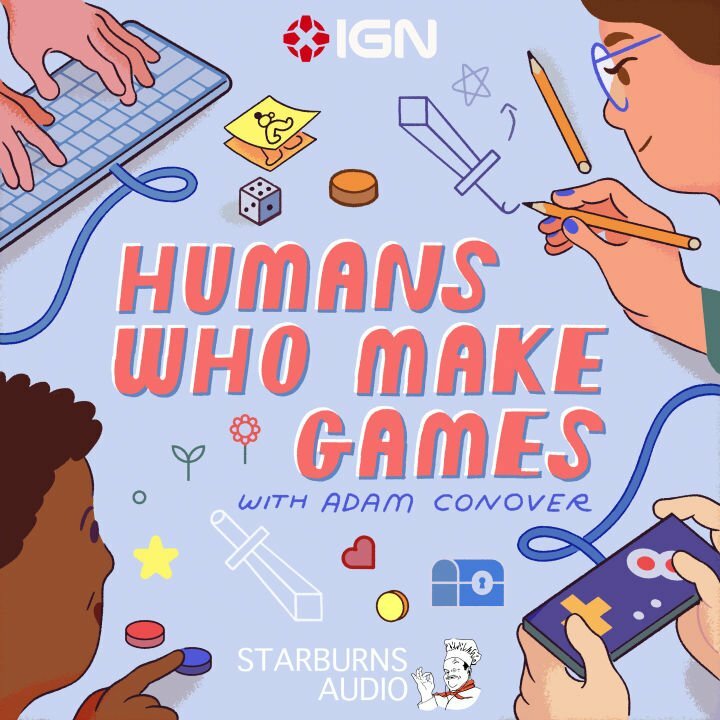 I’m so excited to announce the launch of my new podcast, Humans Who Make Games, in partnership with IGN and Starburns Audio. Humans Who Make Games is an intimate longform interview podcast where I sit down with the creators and artists behind your favorite video games. As a life-long lover of games, I’ve always felt that it’s so strange that the people who make them are so often invisible. You can find millions of hours of breakdowns of games’ plots, mechanics, or history on the Internet, but it’s strikingly rare that you have the chance to get to know the people behind the keyboard who created the dang game to begin with. That’s what this show attempts to rectify. For our first season, I talk with Edmund McMillen (Super Meat Boy, Binding of Isaac), Derek Yu (Spelunky), Christine Love (Analogue: A Hate Story, Ladykiller in a Bind), Justin Ma (FTL, Into the Breach), and many more about what their first memory of games was, how they got into the industry, and what brought them to create the games they did. I’d like to thank the amazing Sophia Foster-Dimino for providing our gorgeous cover artwork, and my favorite game-and-film composer Disasterpeace for our theme music. Take a listen! New episodes are available on this very site, on the Starburns Audio show page, or on our iTunes page.